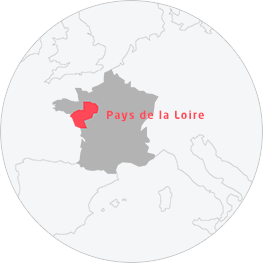 The ultimate family destination, Pays de la Loire has a thousand and one activities in store for children, their parents and their grandparents! There's something for every desire and every budget, whether at the seaside or amongst gardens and park, allowing children to take charge of the holiday for unforgettable family breaks for everyone. 3,2,1, go! Time for a trip to the zoo or a ride on a mini-train! A moment of well-being in water parks and baths! In the bowels of the Grand Blockhaus!